MyAccount makes managing your utility bill simple, secure and convenient. It allows you to view your bills, track your energy and water use, sign up for paperless billing, make payments with your credit or debit card or directly from a bank account, set up AutoPay and more. Create a new MyAccount or log on to your existing account. MyAccount allows you to fully manage your utility account online. This tool is available to all residential and commercial customers with a City of Tacoma utility account. You can use it to pay your bill online using a credit or debit card with the Visa, MasterCard or Discover logo, or by transferring money directly from your checking or savings account. 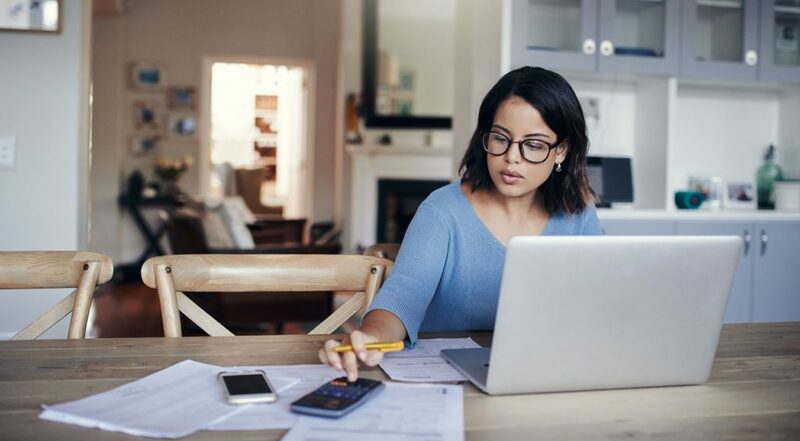 You can also track your payments, view your bill and energy usage history, create a Budget Billing plan, enroll in paperless billing and access many other payment and budgeting options. Register today. What web browsers are compatible with MyAccount? MyAccount works with Google Chrome, Microsoft Edge, Mozilla Firefox, Internet Explorer 11 and Apple Safari. Is the MyAccount web page secure? Absolutely. To confirm this, look for the padlock icon in the status bar of the web browser when submitting information. You should also see “https://” at the beginning of the URL address (as in https://myaccount.mytpu.org). This ensures the website is secure. You can access your bills for the past 24 months on the “Financial Overview” page. Choose the invoice date or the PDF icon for the bill you would like to view. You must have Adobe Reader installed on your computer to view your bill in the PDF format. How can I change my garbage service online? Garbage service is provided by the City of Tacoma’s Solid Waste department. For questions about garbage service, please contact the Solid Waste customer service department. How can I get information on my City of Tacoma Tax and License account? Tax and licensing is handled by the City of Tacoma. For information about your account, contact the Tax and Licensing department. You need to have your utility account number along with a valid email address and the name of the person listed first on your bill (the name listed first is the primary account holder). You will be asked to choose and answer three security questions that will be used to verify your identity should you ever forget your password. If you need help with registration, please contact Customer Services at (253) 502-8600 or toll free at (800) 752-6745. Register an account today. Yes. You can create your own user ID when you register your account. It is not case sensitive, must be between 6-20 characters and different than your email address and password. Once registered, you have the option of logging in with your user ID or your account number. Can more than one person at the same address register for MyAccount? No. The only person who can register for an account is the one is listed first on your utility bill (the primary account holder). Visit MyTPU.org/MyAccount, select the “Register Account” button and follow the instructions. Yes. If you have the utility account number, you can make a payment on any account using a Visa, MasterCard or Discover card by selecting the “Quick Pay” option on the MyAccount home page. This option does not require logging onto or registering for MyAccount. Find the Quick Pay option at MyTPU.org/MyAccount. Yes. You will have the option to either print the payment confirmation page or receive an email confirmation. Is there a fee for making a payment with MyAccount? No. There are no fees whether you pay with a credit or debit card, bank account or savings account. We accept all Visa, MasterCard and Discover credit or debit cards. You may also transfer money directly from your checking or savings account. You select the payment option when you pay your bill online. Credit and debit card payments are processed immediately. Payments deducted from your checking or savings account can take up to three business days. All bank account payments, including recurring AutoPay payments, deducted from your checking or savings account or paid with a credit or debit card will be posted to your utility account the date the bill is due. Yes. You can view all payments made to your account online, no matter how you made them. AutoPay is a convenient, automatic payment option that charges your account on the due date of your bill. You can pay your TPU bill automatically and securely from your bank account or with a credit or debit card with the Visa, MasterCard or Discover logo. How can I change the bank account or credit or debit card I’m currently using for AutoPay? If my due date falls on a weekend or holiday, when is the payment actually due? Can I set my due date to be the same day each month? Yes. You may also select an alternate due date by clicking the “Payment options” tab from the menu and choosing the option to “set alternate due date.” The alternate due date is based on when your meter is read and would take effect during your next billing cycle. You can cancel your alternate due date by contacting Customer Services at (253) 502-8600 or (800) 752-6745 Monday through Friday from 8 a.m. to 5:30 p.m.
How do I enroll in paperless billing? This will enroll all your open accounts in paperless billing and you will receive an email with your bill details after each billing cycle. Do I have to separately enroll in paperless billing for each of my accounts? No. Enrolling in paperless billing will automatically apply to all your accounts. Where can I find my power assistance pledge credit balance? You can find the balance of your power assistance pledge credit on the first page of your bill in the upper right-hand corner. Can I sign up to get reminders and other important messages from TPU? Both your mobile carrier and phone number must be updated when you make a change, even if you are keeping the same mobile number. How will I know if I have past due charges? If you have past due charges or charges that will appear on your next bill, such as service establishment fees or late fees, a red triangle icon will display next to the amount shown in the “Current balance” field. If I have multiple accounts, can I still search for a specific account? Yes. You can easily find a specific account number on the “Summary of Accounts” page by pressing the “Ctrl” button and the “F” button on your keyboard at the same time to activate the “Find” feature for your web browser. Type the account number in the “Find” field of the web browser and select the enter button. The account number that you’ve entered will be highlighted on the list of account numbers for easy reference. Yes. Accounts with a zero balance will automatically be hidden after 18 months from the date you closed your account. I’m a business customer. Can I pay multiple accounts in a single transaction? Yes. Our consolidated payment option allows business customers to pay multiple accounts in a single transaction using a Visa, MasterCard or Discover credit or debit card or a checking or savings account. Residential customers with multiple accounts can request access to the consolidated payment option by contacting Customer Services at (253) 502-8606, Monday through Friday from 8 a.m. to 5:30 p.m.
Accounts are displayed by due date with the oldest date appearing first. Accounts with a zero balance or a credit balance will appear at the end. Ineligible accounts cannot be selected for payment on the website. Yes, but only if you are paying with a credit or debit card. Payments made with a bank account can only be made for the amount due. Can I sign up for new service online if I’ve never been a TPU customer? You can submit a request to start a new service by selecting the “Start Service” button on the home page at MyTPU.org/MyAccount. You will need the full name(s) and Social Security number(s) for yourself and your spouse or roommate(s), and the address where you would like to start service. Once you’re logged in to MyAccount, select the “start or stop service” tab from the menu, choose the option that applies to you and follow the prompts. There is a $21.60 service fee to start service, which will be added to your first bill. The amount is based on which utility service(s) is requested. There is no charge for stopping service. My account is currently in collections. Who can I talk to about this? If you received a letter from Professional Credit Services (PCS) or Municipal Services Bureau (MSB), credit and collections agencies we work with, please contact their offices directly to settle your unpaid debt. It is your responsibility to resolve the matter directly with the collection agency. We are unable to accept payments or make payment agreements on accounts currently in collections. Both PCS and MSB have skilled staff waiting to help you settle your debt. Contact information is below. Customers cannot open a new account until the amount in collections is paid in full. Monday – Thursday 7 a.m. to 7 p.m.